Happy Monday and welcome to kick off day for Collins Hemingway's Blog tour with HF Virtual Book Tours for The Marriage of Miss Jane Austen, the first book in Hemingway's series. You can read all about the book below and see which blogs will be hosting the tour, and don't forget to enter the giveaway for a chance to win a copy! Jane Austen, single and seemingly comfortable in the role of clergyman's daughter and aspiring writer in the early 1800s, tells friends and family to hold out for true affection in any prospective relationship. Everybody, she says, has a right to marry once in their lives for love. But when, after a series of disappointing relationships, the prospect of true love arrives for her, will she have the courage to act? 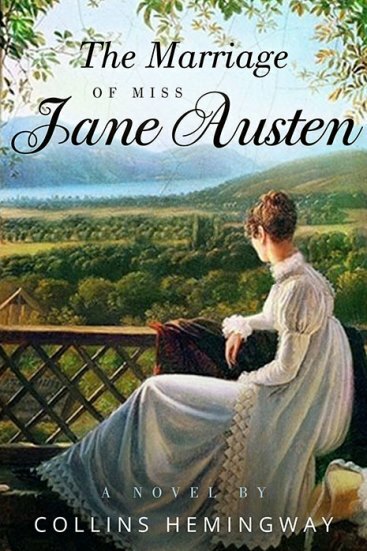 The Marriage of Miss Jane AUsten re-imagines the life of England's archetypal female by exploring what might have happened if she had ever married. It shows how a meaningful, caring relationship would have changed her as a person and a writer. It also takes her beyond England's tranquil country villages and plunges her info what the Regency era was really about: great explorations and scientific advances, political foment, and an unceasing, bloody war.